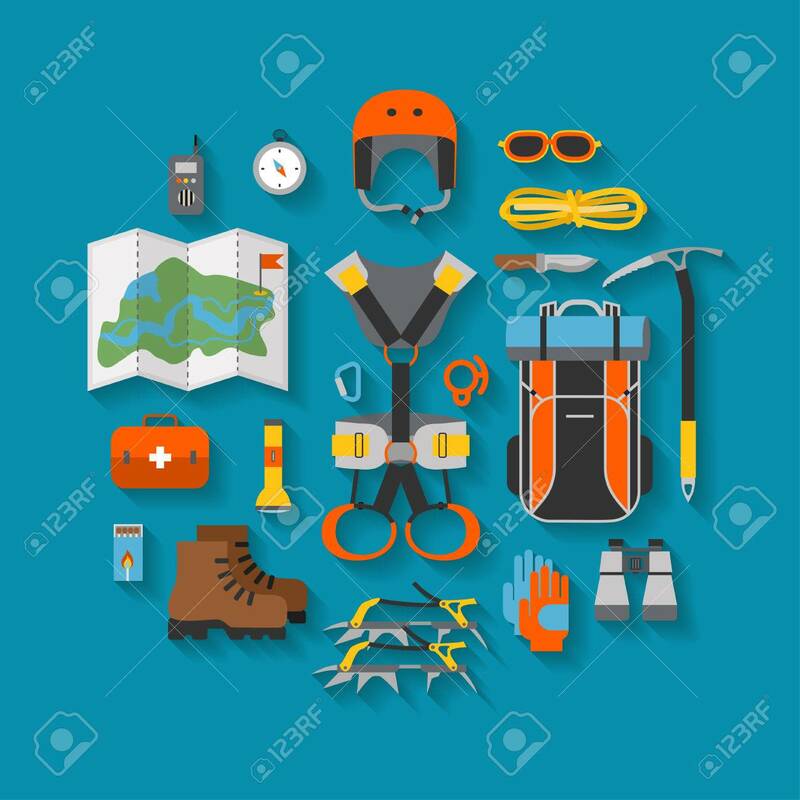 Flat Design Of Modern Of Climbing And Equipment For Hiking With Shadow. Outfit For Mountaineering And Items For Traveling And Recreation. For Web Sites, Applications And Printing. Vector Illustration Royalty Free Fotografie A Reklamní Fotografie. Image 83223151.